What if you could use "push-button" technologies to increase your bottom line? 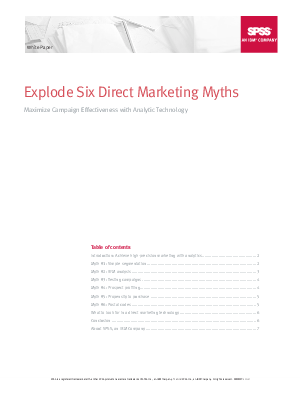 This paper focuses on six myths that surround direct marketing best practices and discusses how you can use specific analytical techniques and tools to beat these myths, increase response rates and boost ROI. Learn more.